Hovering over the ocean, and surrounded by windows, this flat has direct ocean views out of every window. Recently renovated, this full 3 bedroom apartment has a spacious open kitchen and is right on the ocean. Large grassy lanai in front of water. Long, open plan space. Sits above the penthouse level, so you need to walk up one flight of stairs after the elevator and this adds to the privacy. The views are some of the best on the island. 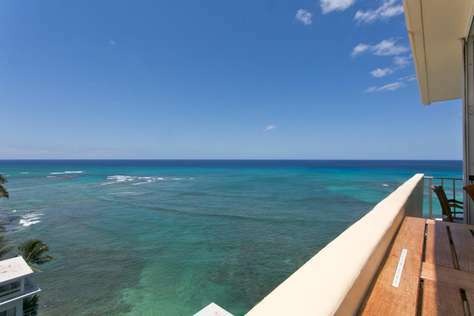 High-end, oceanfront luxury is what the Kahakai Penthouse is all about. A rare find on the Gold Coast of Oahu, this penthouse has unobstructed views from the west side of the island where the sun sets all the way across to the bottom of Diamond Head. From the suite's oceanfront lanai you have a bird's eye view of some of the best surf on the south shore, as well as breaching whales in the winter. Upon entering the penthouse you are immediately greeted with floor to ceiling windows that look out to the Diamond Head coastline. 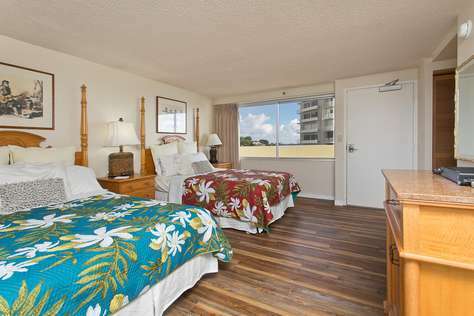 The master bedroom to the right (housing 1 queen bed) not only offers endless views of Waikiki, but an elegant and serene place to relax after a long day at the beach. The unit comes with flat screen televisions hooked to cable, a/c, WI-FI and a fully equipped kitchen. Only the highest end appointments have been used throughout the unit and no detail has been overlooked. Simply show up with a swimsuit and a good book, and you are set for your vacation. 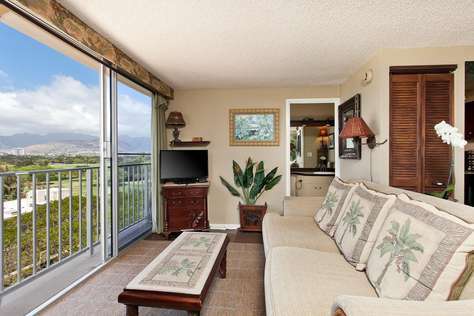 After you are settled in to the Kahakai Penthouse you have a world of activity right outside your door. From sailing to snorkeling and surfing, all ocean activities can be found along the Gold Coast and Waikiki. Not only can you enjoy all that the ocean has to offer, you also have quick access to hiking, shopping, fine dining, and sightseeing. A ride down the elevator to the building's garage will lead you to the community washer & dryer area and on the 1st floor of the building is a private oceanfront lounge for tenants with direct access to the ocean. If parking is required, you may reserve a spot in the building for a daily fee. Come and see for yourself all that this penthouse has to offer. N.B. This suite actually sits above the penthouse level, so you need to walk up one flight of stairs after the elevator and this adds to the privacy. The views are some of the best on the island. Floor to ceiling full sliding doors in the living area ensure your gatherings enjoy truly the best views. Whether that be the surfers, the paddlers from the Outrigger club (next door) or the evening sailboat flotilla that coasts ahead of you as you sip a Mai Tai at sunset. The penthouse itself has two bedrooms plus modern bathroom and well equipped kitchen. Our suite is entirely yours for the duration of your stay with it's full length private lanai (that has ample seating for eight) included, should you wish to have friends over to share your luxurious vacation views. 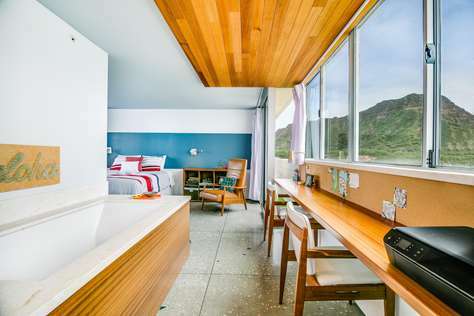 The suite sits atop the Diamond Head Beach Hotel & Residences and is far from the madding crowd that bustles through Waikiki, yet still only a leisurely 15 min walk along the ocean front should you seek a wilder nightlife or to enjoy the many top notch restaurants Waikiki has to offer. Our suite offers complimentary high-speed WiFi, HD TV and cable. We have a front desk person in the lobby to assist with the printing of boarding passes, local tips on food places and hikes for all energy levels. The hotel communal gardens below us offer additional space to relax whilst gaining a tan listen to the ocean that meets our property. Maybe you'll take a snorkel along the reef to view the fascinating marine life, the choice is yours? High Floor with Full Kitchen 'Residential' Suite. Look-out in either direction from main living room in this 1-Bedroom condo & see the surf as it breaks. Sit on the modern sofa & gaze out at the ocean, cityscape, park, & mountains. The beautifully furnished, living room, flat screen TV & dining table for 2. Open the windows on each side of the unit for the trade winds. A unique feature of the building is that each floor is only one unit wide, so getting a cooling cross breeze is accomplished by opening windows on each side of the unit. A bright and airy space on the 11th floor of this boutique private hotel. Full kitchen with King bed private lanai and AMAZING views. 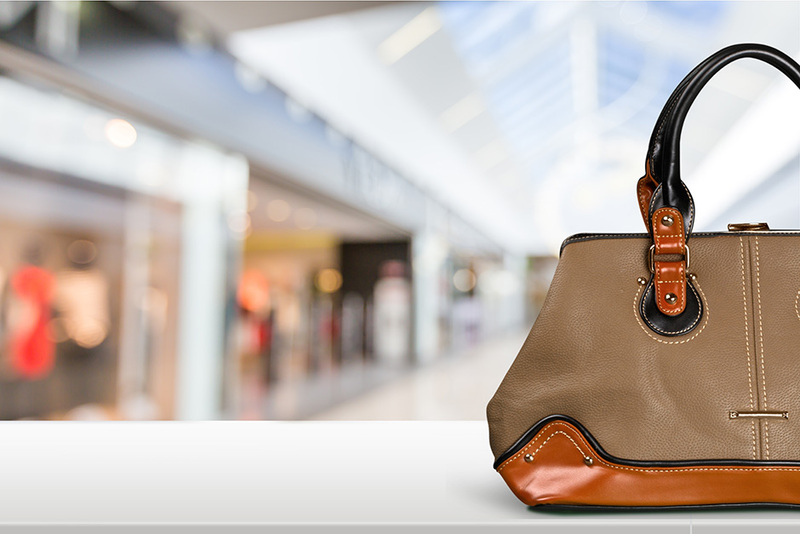 Everything you'll need whether just for the weekend or a full month stay. Relax in the mornings in our communal ocean front gardens with plenty of lounge chairs to grab that tan. Also the perfect place to enjoy sunsets with a glass of wine as the sun sets over the Pacific horizon. The stroll along the promenade into Waikiki is beautiful and relaxing, a must to grab those famous 'sunset selfies' to show to friends and loved ones. The Suite has a small fridge, microwave, coffee machine with a few days supply for your morning beverage. There's a mini mart convenience store just 4 mins walk from our property that has most of the essentials and sunblock etc. We also have a guest host for anything that pops up during your trip to do with the Studio itself. 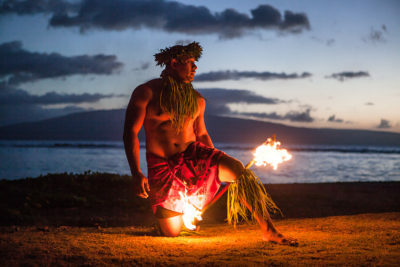 Mahalo for showing an interest in our suite and we look forward to welcoming you to the island soon. Open the windows on each side of the unit for the trade winds. A unique feature of the building is that each floor is only one unit wide, so getting a cooling cross breeze is accomplished by opening windows on each side of the unit. 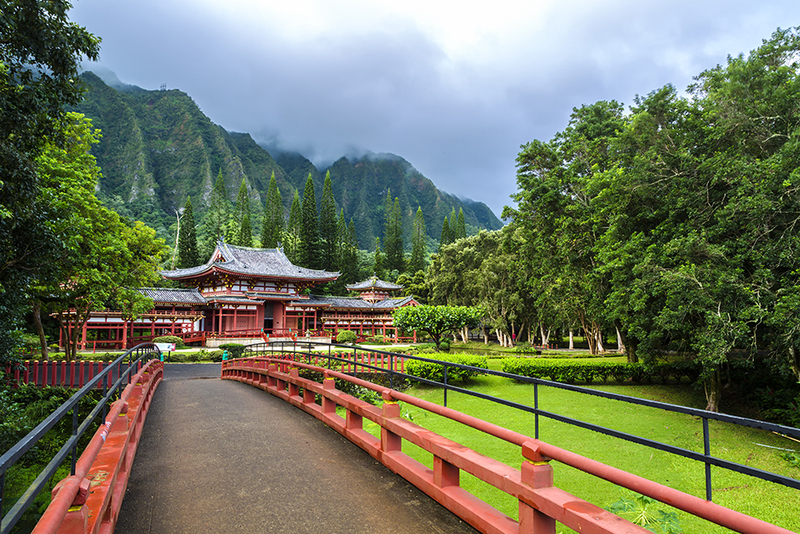 Professionally managed Hawai'i Americana Realty. The Suite has a medium fridge, microwave, coffee machine with a few days supply for your morning beverage. The Hotel has a front desk person from 10-4pm weekdays if you have questions about ' Must See' things to do whilst visiting. Professionally Managed by Hawai'i Americana Realty. Well mainted large Studio on the 'Gold Coast'. With large HD TV, included highspeed wireless WiFi. Private, 'over the park' corner balcony also - ideal for lazy afternoons with a book. This Condo has above tree line views being on the 10th floor and benefits from lanai and large windows so you can enjoy the great ocean trade winds from the comfort of bed. Relax under Diamond Head's iconic frame as you layout in our gardens or pop straight into the ocean for a relaxing dip. High Floor with Full Kitchen 'Residential' Suite. Look-out in either direction from main living room in this 1-Bedroom condo & see the surf as it breaks. Sit on the cushy sofa & gaze out at the ocean, cityscape, park, & mountains. The beautifully furnished, living room includes Indonesian, dark-wood, plantation-style furniture, flat screen TV & dining table for 2. Open the windows on each side of the unit for the trade winds. A unique feature of the building is that each floor is only one unit wide, so getting a cooling cross breeze is accomplished by opening windows on each side of the unit. High Floor with Full Kitchen 'Residential' Suite. Look-out in either direction from main living room in this 1-Bedroom condo & see the surf as it breaks. Sit on the comfy sofa & gaze out at the ocean, cityscape, park, & mountains. A unique feature of the building is that each floor is only one unit wide, so getting a cooling cross breeze is accomplished by opening windows on each side of the unit. Luxurious oceanfront condo, redecorated, refreshed in 2013. Remodeled kitchen, stainless appliances, and bathroom. upgraded furniture throughout. Travertine stone floors in living room and carpeting in the bedroom. Large flat screen TV in both the living room and bedroom with cable, dvd, & stereo. Beautiful lanai furniture to sit and enjoy view of ocean and sunsets with cocktails. Air conditioning in both the living room and bedroom. Panoramic ocean views from every room, including views of diamond head and the city lights of Honolulu from living room, kitchen and bedroom. Lanai looks directly over pacific ocean. Hear the ocean surf at night. Sandy beach next door, with stairs leading to swimming area at high tide. Snorkeling in front of property along with grassy area to sit and enjoy the sun. The condo is on the 8th floor, direct oceanfront. Free WiFi internet, local telephone, cable, electricity, and water included. 'credit card payment' operated laundry room located in the basement of the building. 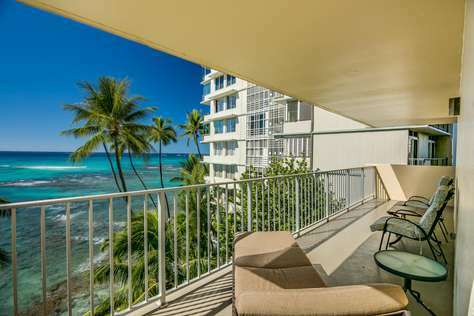 This Luxury Oceanfront Suite is a vacation rental located on the 7th floor of the Diamond Head Beach Hotel in Waikiki. 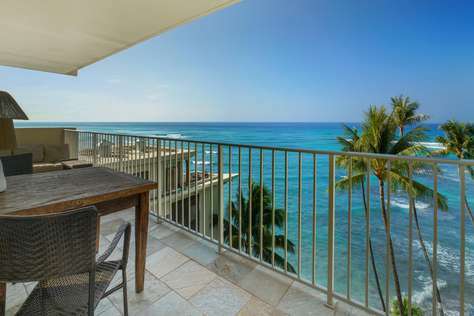 Enjoy stunning views of Waikiki's prestigious Gold Coast, Diamond Head, and the Pacific Ocean. 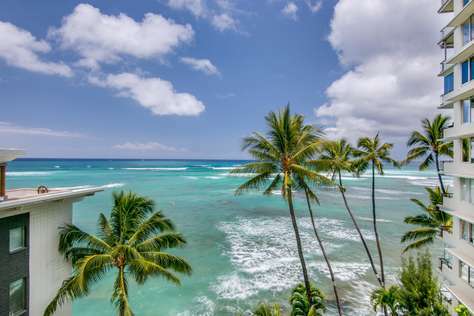 Situated across from lush Kapiolani Park and within close proximity to the Waikiki Aquarium, the Outrigger Canoe Club, the Honolulu Zoo, and Waikiki, this is an amazing treasure in a prime location. 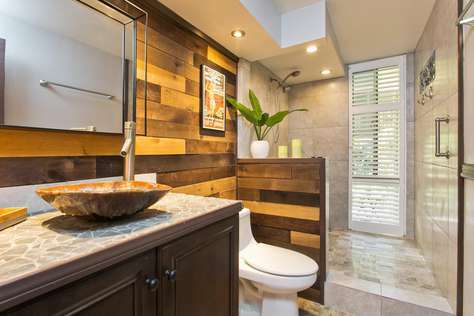 This two-bedroom vacation rental comes complete with a full designer kitchen and living area. A large ocean-side lanai features amazing 180 degree views from the ocean to the mountains. All rooms are air-conditioned with private lanais. Assigned covered parking is available for an additional fee. Relax and unwind on the edge of the Pacific ocean in the private beachfront garden and small golden beach. 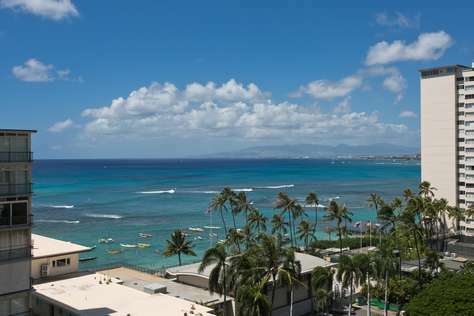 The hotel is just steps away from numerous attractions, shops and restaurants and the world famous beaches of Waikiki. 6th Floor with Full Kitchen 'Residential' Suite. Look-out in either direction from main living room in this 1-Bedroom condo & see the surf as it breaks. 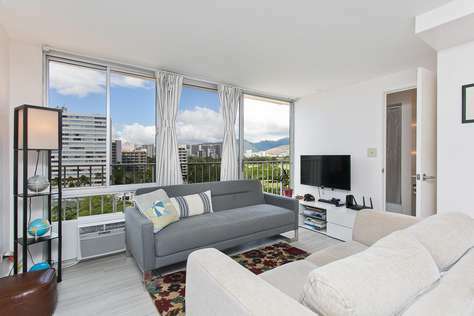 Sit on the comfy sofa & relax on the Gold Coast of Oahu, Just 10 mins walk to heart of Waikiki, cityscape, park, & mountains. A unique feature of the building is that each floor is only one unit wide, so getting a cooling cross breeze is accomplished by opening windows on each side of the unit. Step out onto the lanai and enjoy the ocean views, walk through the kitchen and plan your first dinner? This is a beautiful suite, ideal for a 2 couples or family. 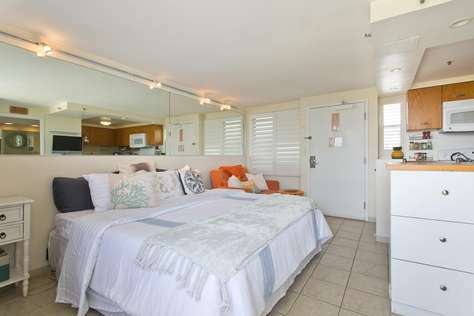 This Large Oceanfront 2 Bedroom Suite is a vacation rental located on the 5th floor of the Diamond Head Beach Hotel in Waikiki. 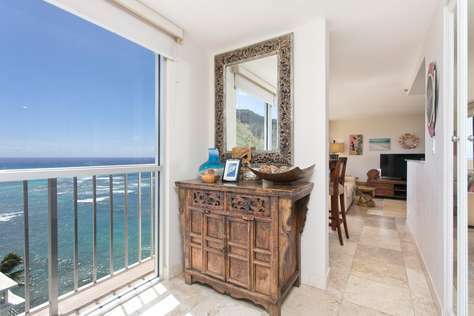 Enjoy stunning views of Waikiki's prestigious Gold Coast, Diamond Head, and the Pacific Ocean. Situated across from lush Kapiolani Park and within close proximity to the Waikiki Aquarium, the Outrigger Canoe Club, the Honolulu Zoo, and Waikiki, this is an amazing treasure in a prime location. This two-bedroom vacation rental comes complete with a full kitchen and open plan living area. A large ocean-side lanai features amazing 180 degree views from the ocean to the mountains. All rooms are air-conditioned with private lanais. Assigned covered parking is available for an additional fee. 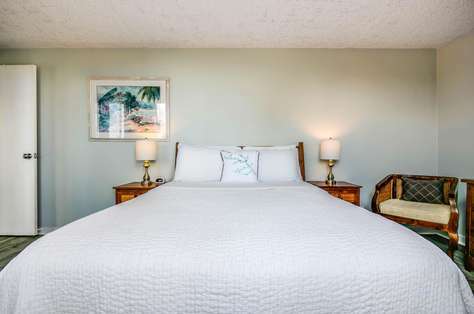 Located at the foot of the iconic Diamond Head crater, this home away from home has everything you need for either business / pleasure or a little of both. A complete high end remodel completed April 2017 by the new owners will leave you breathless. The attention to detail to ensure everything you need is in the suite, quality of fabrics, design and overall feel of this suite may have you wondering if you are actually staying at a spa resort. Having done much traveling ourselves we decided to try and include everything we love to find in a vacation rental. From the organic cotton sheets to Coffee pot that can make one to 6 cups at one time. The studio has high-speed WiFi and 'airport' printer for those needing to get a little work done (or just print-off local hikes & boarding passes) during their stay. The HD TV comes with cable included. Plenty of USB charging areas are located around the suite also. The bathroom was super important to us and was inspired by several luxury spa locations around the world. Your total comfort was our #1 goal from concept to fruitition with our suite. We think it's ideally suited for couples, families of four or would be perfect for business travelers looking to split work and relaxation. All our guests are welcomed in person at the suite on arrival, no matter what time your stay with us begins. 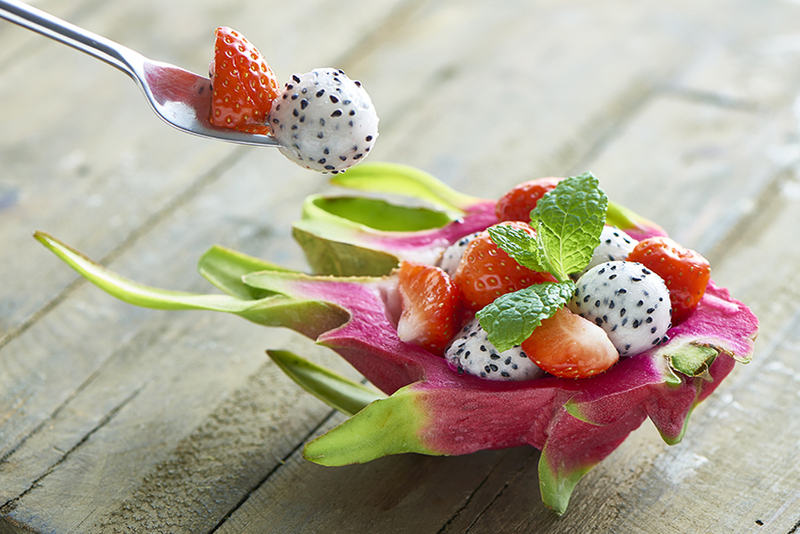 We'll answer questions and share tips on popular spots to eat at & visit if needed too. Be the first to know about new additions to our portfolio of luxury suites & Vacation Specials. 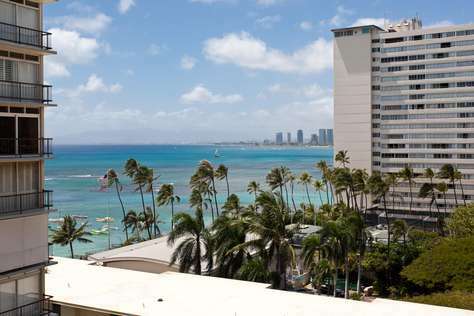 DHBHSuites at the Diamond Head Beach Hotel, 2947 Kalakaua Ave, Honolulu, HI 96815, professionally managed by Hawai'i Americana Realty #RB20384 - Please note all booking requests are processed manually in the order received and will be confirmed via email.